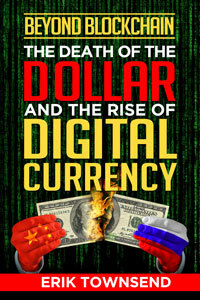 One final leg in the dollar? We strongly recommend that you download the chart book that accompanies this interview, and Erik and Darius will refer to it throughout the interview. Registered users here at MacroVoices.com already received the download link in your research roundup e-mail. If you haven’t already registered, click the red “Subscribe for FREE” button on the top right side of the home page, and register. Once logged in, you will see the download link(s) and will be able to download the PDF document(s). 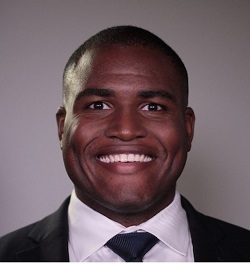 Darius Dale is a managing director and partner at Hedgeye Risk Management, a leading independent financial research firm based in Stamford, CT. At Hedgeye, he is a senior analyst on the Global Macro team and a core contributor to the firm's economic outlook and associated investment strategy views. Mr. Dale joined the firm shortly after graduating from Yale University in 2009. At Yale, he was a highly decorated member of the varsity football team and held leadership roles in several on-campus organizations. He also received a public service fellowship from the Yale president to help run a summer sports camp for underserved youth in the New Haven area. He is a two-time recipient of the firm's employee of the year award (2010, 2011). His expertise on global markets and economies has led him to become a frequent on-air contributor to Fox Business and Fox News, as well as an in-print contributor to Bloomberg News.